This is the final post of my of “tax week” series of articles this past week in which I addressed every aspect you’ll need to know about filing bankruptcy and protecting tax refunds, together with info on related issues. Links to all posts in this series are at the bottom of the page. QUESTION: I’m about to file a Chapter 7 case; I haven’t filed my tax return yet; and I expect a large tax refund which is not totally exempt. Why don’t I just delay filing my tax return until my bankruptcy case is over? If a trustee thinks that there may be a substantial tax refund, then he will hold the case open until you file the tax return and provide him with a copy. Thus, delaying the filing will only delay the conclusion for your bankruptcy case. QUESTION: If I anticipate a large tax refund, why don’t I just submit a tax return that contains incorrect information that shows that I owe lots of tax (meaning that I will not get a refund); and then just amend the return after the bankruptcy case is closed and get the tax refund then? Well this person certainly thought creatively. Very few people artificially fudge the figures on their tax return to pay more tax then they owe. However, this approach is probably illegal under the federal tax law, as a taxpayer is obligated to provide correct information on a tax return. In addition, should the trustee learn that a debtor intentionally manipulated the figures on the tax return to “beat the system” and deceive the trustee, the debtor would likely be looking at a proceeding seeking to revoke the debtor’s discharge. Bottom line: be honest and accurate when filing your tax return, just as you should be accurate and candid when providing info on your bankruptcy petition. QUESTION: I recently filed a Chapter 7 bankruptcy and the trustee insists on seeing my tax return before closing my case. However, it will take foreever before I can do my tax return. Is there anything I can do to expedite having the trustee close my case. Unfortunately, the answer is “no.” If the trustee thinks there may be a significant non-exempt tax refund, he will keep the case open until he can review the tax return. Your best bet is to file the return as soon as possible. This post is part of a series of articles that I’ve written this week addressing every aspect you will need to know about filing bankruptcy, protecting tax refunds, and related issues. Links to all posts in this series are at the bottom of the page. Generally, if you file for Chapter 13 bankruptcy in New York, you will be able to keep your tax refund if your Chapter 13 plan provides for a 100% payment to all creditors. If it does not, then you will have to remit any tax refund to the Chapter 13 trustee, who will include it in the distribution to creditors. A debtor in a Chapter 13 case is required to pay all projected disposable income into the Chapter 13 plan. Tax refunds are considered additional income that the debtor has over-withheld. Thus, when this income comes in, it has to be paid into the Chapter 13 plan. In those Chapter 13 cases where you have to submit your tax refund to the Chapter 13 trustee, there will be clear and explicit language in the Chapter 13 plan about this, which will also indicate that you are responsible for sending a copy of your tax return to the trustee at the same time that you file it. TIP: The higher the number of exemptions that you provide to your employer on an IRS W-9 tax form, the less the witholding will be, and the smaller the tax refund. In sub-100% Chapter 13 plans, you will want to have as small a refund as possible, because any refund that you do end up receiving just goes to your creditors, and does not benefit you in any way. Yesterday I wrote about How a Tax Refund Can Mess Up Your Bankruptcy Means Test . Well, the same means test that is used in Chapter 7 cases to determine eligibility to file for Chapter 7 relief, is also used in Chapter 13 cases to determine the minimum amount that you have to pay into the Chapter 13 payment plan. If you file a Chapter 13 petition in the six-month period after receiving a tax refund, then you must include the tax refund in the means test as income. This is because all income received during the six-month means test period must be listed, and income tax refunds constitute income for this purpsoe. Even though the income tax refund can be pro-rated to reflect receiving it over a twelve-month period, it will nevertheless increase the amount you will have to pay in the means test. However, if you file your bankruptcy petition more than six full calendar months after receiving the tax refund, you do not have to include the tax refund, based on a strict interpretation of the law. This means that most people who file for Chapter 13 during the second half of the year who have plans that pay less than 100% can expect to pay less into their Chapter 13 plans each month. This is not exactly a logical result, but it’s the result of a very poorly and ambiguously worded means test statute. This post is part of a series of articles this week addressing every aspect you will need to know about filing bankruptcy, protecting tax refunds and related issues. To see all posts in this series to date, click this link: Tax Refunds and Filing Bankruptcy . For purposes of the means test, a tax refund that is received during the six-month means test period, must be included as income for purposes of the means test. Technically, the means test requires that you allocate the full tax year refund into a six-month period, which as the effect of doubling the amount of the refund, which can provide for a very unfair result, and can result in you failing the means test for this reason alone. Fortunately, it seems to be the accepted practice to pro-rate the refund over a twelve-month period. However, strictly construing the means test can sometimes help a debtor. If the tax refund is received outside of the six-month means test period, then technically it does not have to be included in the means test at all. I’ve learned over the years from representing our Long Island bankruptcy clients, that including the tax refund in the means test or not can sometimes make the difference between passing the means test or failing it. This underscores the importance of getting competent advice from an experienced bankruptcy lawyer before filing for bankruptcy. This post is the fourth in a series of articles that I’ve writtten this week addressing every aspect you will need to know about filing bankruptcy, protecting tax refunds, and related issues. Links to all posts in this series are at the bottom of the page. What Should You Do If You Expect a Large Tax Refund, But Haven’t Filed the Bankruptcy Petition Yet? TIP: Here’s where pre-bankruptcy planning becomes very important. If you expect a large refund, you may want to delay the filing of your bankruptcy petition until you receive the refund and spend it down in an appropriate manner. Using a large tax refund to pay your rent or mortgage, buy food, make a car payment, or even pay your bankruptcy attorney, are all types of payments that are consistent with filing for bankruptcy in good faith. Sometimes the refund can also be used to buy necessary clothing or furniture, fix your house, repair your car, or get necessary dental work done. However, you cannot pay existing debts to friends or relatives, give the money away, gamble it away, or buy luxury goods. In general, using it to pay any reasonable and necessary expenses is O.K. Since pre-bankruptcy planning can be tricky in order to do it in a way that complies with the bankruptcy law, it is always best to seek the advice of a competent bankruptcy attorney before doing so. If you need to file your bankruptcy petition before you recieve the refund, you must list it in the petition. To protect your tax refund, you must exempt it by including it as an asset in the Schedule B, which is the Schedule of Personal Property, by stating the anticipated amounts of both the Federal and State refunds, and by listing the exemption and the correct exemption statute (New York C.P.L.R. section 5206) in Schedule C to the petition, which is the Schedule of Exemptions. Generally, trustees will only administer non-exempt assets if it is reasonable to do so. If the tax return is relatively small, it will probably be administratively inconvenient for the trustee to be burdened with all of the work necessary to distribute a very small amount. I previously wrote a post about the issues a Chapter 7 trustee considers in deciding whether to take a debtor’s money or assets to distribute to creditors: Sometimes Debtors Can Keep Non-Exempt Assets in Chapter 7 Bankruptcy Cases . This post is part of a series of articles this week addressing every aspect you will need to know about filing bankruptcy, protecting tax refunds, and related issues. Links to all posts in this series are at the bottom of the page. The first four months of the year leading up to April 15th is tax season, and trustees will spend extra time and attention looking at the possibility of tax refunds to determine if they should be turned over. They also will continue to do so for a number of weeks thereafter. Most people will not file their 2009 tax return until after mid-February. Thus, if your meeting of creditors is quickly coming up, you probably have not yet done your tax return. Many trustees will hold your case open until you do file last year’s tax return. However, if your tax refunds in prior years were relatively small, and it appears that your tax refund for last year will also be small, then the trustee will likely close your case. On the other hand, if you own your home and are claiming the homestead exemption, then any tax refund you receive will not be protected. In such situations, the Chapter 7 trustee will definitely want to hold your case open to see if you have any significant tax refund. If you already filed your tax return and it shows that you will be receiving a large tax refund, and if the amount of the refund combined with your other liquid assets greatly exceeds the exemption amount ($2,500 per person), then the trustee will likely direct you to turn over your refund so that he can distribute it to your creditors. If the trustee wants to keep your case open until you provide him with a copy of the bankruptcy petition, he will probably want your attorney to sign a stipulation which gives the trustee additional time to object to your case if you fail to comply or cooperate. TIP: It is always best, if you are planning to file for bankruptcy, or if you have recently filed for bankruptcy, to file your tax return as soon as possible. That way, your bankruptcy attorney can review it and determine the best strategy for going forward with your case. In addition, you can minimize the amount of time the trustee will keep your bankruptcy case open for. If the trustee appears entitled to the refund because it is not exempt, but you filed the return last year, the trustee should not take the entire refund. In such cases, the trustee is not entitled to any part of the refund that you earned after the date you filed the bankruptcy petition. The Chapter 7 trustee will thus take a pro-rata portion of the refund based on the percentage of the year that has already passed at the time the petition was filed. TIP: If you expect a large tax refund, you can minimize the possibility of having to turn this over to a trustee if you revise your withholding exemptions, so that less tax is withheld. Although it may be too late for some consumers to take advantage of this, those who read this post in the future can avail themselves of this tip. Speaking with an accountant about this is always best. This post is part of a series of articles this week addressing every aspect you will need to know about bankruptcy and tax refunds. 1. Are you filing for Chapter 7 or Chapter 13? 2. Are you filing on your own or with your spouse? 3. Did you file your bankruptcy before December 31, or will you be filing in the new year? 4. Did you already get your tax refund? 5. Do you own a home that you are also trying to protect in the bankruptcy? 6. Do you have other liquid assets such as cash and money in the bank? Most of this blog post addresses tax refunds that you may receive if you are filing for Chapter 7 Bankruptcy. I will address tax refunds in Chapter 13 cases later in the week. New York has an unusual exemption scheme as it applies to protecting homes and protecting liquid assets. The way the law works, you can’t protect both. You have to choose: either protect the house with the New York homestead exemption or protect your liquid assets with the various liquid assets exemptions. If you have a lot of equity in your home, then you will certainly want to use the New York homestead exemption. If you do, then you cannot use the liquid assets exemption, which means that you can’t protect the tax refund. Thus, if you have a total of $500 in the bank and in cash at the time you file your bankruptcy petition, you can protect the first $2,000 of a tax refund. That means that in close cases you have to look at the value of your liquid assets on the very day you file your petition. Sometimes a trustee will require that you provide copies of bank account statements that indicate what your balance was on the date your petition was filed. The $2,500 liquid assets exemption is per person and can be doubled if you are filing with a spouse, for a total of $5,000. There is no distinction between Federal refunds and state refunds. What Happens to a Joint Tax Refund If You File Bankruptcy Without Your Spouse? In the State of New York, each spouse is entitled to one-half of the tax refund for bankruptcy purposes. Last year I wrote a detailed review of the law about this. See Who Owns the Tax Refund in a Bankruptcy Case: Trustee or Spouse? Apportioning the Refund of a Non-filing Spouse . Here’s how a refund is allocated between debtor and non-filing spouse: Let’s suppose you file for bankruptcy and your spouse does not, and let’s assume that you can protect $2,000 of a tax refund because you have $500 in the bank (remember $2,500 is the total for liquid assets). What happens if the joint tax refund is $7,000? Since each spouse is entitled to one-half of the refund for bankruptcy purposes, then your share is one-half of 7,000, which is $3,500. You can protect $2,000 of that, which means that you would have to turn over the unprotected part to the trustee, which is $1,500. TIP: This means that if you expect a large refund, you will want to have as little in your bank account as possible on the date of filing. Tax refunds can be several thousand dollars; so it’s worth learning how to protect and keep your refund if you file for bankruptcy. Tax season starts the last month in January — which is when employers and financial institutions send out W-2 forms, 1099 forms, etc. It’s also when consumer tax payers start thinking about and preparing for filing their tax returns. This week — all week long — I will post a number of helpful and informative articles on everything the consumer needs to know about filing bankruptcy and protecting tax refunds. If you file for personal bankruptcy in New York, a tax refund that you have not yet received may be totally exempt and protected, or, based on your particular situation, it may only be partially protected, or not protected at all. To learn whether your refund is protected, carefully read my blog posts this week. If you have questions or comments, please send them in. Keep in mind that the best way to ascertain whether a tax refund is protected in bankruptcy or not, is to seek the advice of an experienced New York bankruptcy attorney. Last April I posted an article about a Long Island process serving company that had been charged with engaging in “sewer service.” Long Island Process Serving Company Owner Arrested Today for “Sewer Service” . Last week the owner of that company, William Singler, pleaded guilty to fraud in Nassau County Supreme Court. 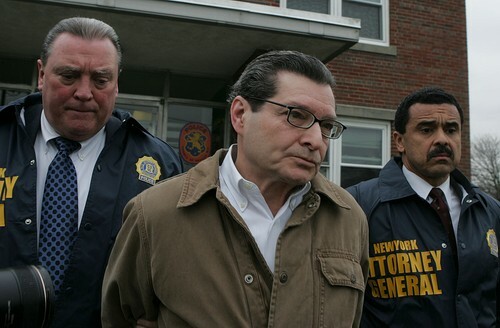 He admitted that his company failed to properly served thousands of consumers on Long Island and across New York with collection law suits, and then lied about it with false affidavits of service. As a result of his actions, many thousands of New York consumers were denied their due process rights, and only learned that they had been sued when their bank accounts were restrained or their wages garnished. William Singler was the owner of the legal service process serving company, American Legal Process, that had been located on Long Island, in Lynbrook, New York. Process Server Claimed He Traveled Over 20,000 Miles an Hour! The New York State Attorney General, Andrew Cuomo, revealed various aspects of the fraudulent scheme which included documents saying that one process server personally served lawsuit papers to someone in Brooklyn at 8:19 a.m. one morning, only to serve a second lawsuit 400 miles away, just one minute later. That would require traveling over 20,000 miles an hour, and New York highways currently don’t accommodate such speeds. According to prosecutors, American Legal Process employees routinely made only a cursory attempt to locate debtors, then gave up and submitted false affidavits of service, claiming they had served the debtors with the lawsuit documents. You can click here to read a copy of the actual complaint alleging fraud against New York process service company . Attorney General Cuomo is still proceeding with a civil suit to dismiss about 100,000 lawsuits that contain affidavits of service prepared by William Singer’s company, American Legal Process. The Attorney General accused 35 law firms and two debt collection companies of failing to ensure that servers were following the rules after hiring American Legal Process to serve summonses and complaints. 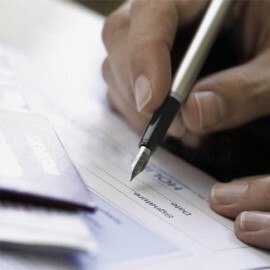 See my post: Bill Collectors Slapped with Class Action Suit . William Singler is expected to face some jail time for his fraudulent and illegal conduct. He pleaded guilty to a single count of a Class E felony of scheming to defraud, which is punishable by a year in jail. He is expected to sentenced on March 24, 2010. In my opinion, a sentence of only a year in jail is hardly just punishment for someone who has defrauded a hundred thousand consumers, many of whom faced great difficulty when they were surprised by frozen bank accounts and garnished wages. When Singler appeared before Nassau County Supreme Court Justice Alan L. Honorof, he admitted that he had signed phony affidavits of service, swearing that court papers had been served on defendants in debt collection suits even though he knew many of his employees had broken the law. Even though many thousands of credit card collection lawsuits were started improperly, the fact remains that in most cases, the underlying debt is not disputed. Nevertheless, many consumers who were improperly served now have extra leverage to negotiate a low settlement. Our debt settlement practice has assisted many consumers with resolving such outstanding credit card debts for very beneficial amounts. We have also helped other consumers totally eliminate their credit card bills with bankruptcy. Having a written retainer agreement in a consumer bankruptcy case is not only important, it’s the law. For the 20+ years that I have been representing clients in bankruptcy cases, I have always used written retainer agreements. Four years ago, when the bankruptcy laws were changed, written retainer agreements became mandatory. Even so, there are some sloppy bankruptcy attorneys who neglect to use them. A written bankruptcy retainer agreement clearly sets forth the understanding between the bankruptcy attorney and the bankruptcy client. It also sets forth what services are included and what services may not be included. Several years ago I wrote an article for the Suffolk Lawyer about Best Practices for Representing Your Clients and discussed the importance of using a plain-English written retainer agreement. Bankruptcy court rules require the bankruptcy attorney to file some forms with the petition indicating the amount of the legal fee. Sometimes counsel files a copy of the retainer agreement to support this disclosure. A properly-prepared retainer agreement also indicates what the bankruptcy legal fee is, the amount of the filing fee, and whether there are any disbursements, such as those for obtaining a credit report or for advancing the costs of credit counseling. My retainer agreements also indicate what obligations my clients have. These include simple things such as reading mail that I send them, agreeing to provide correct and accurate information, and letting me know if there are any significant changes in their circumstances. If you are filing for personal bankruptcy, make sure your attorney prepares a written retainer agreement, and of course, make sure you read it before signing it; ask any questions if you do not understand it; and make sure you get a copy of it.